Article about the Biennale in the “Daily-Sun” of Dhaka. A five-day-long performance art event titled ‘Live Stream’ was arranged at the performance art pavilion of 18th Asian Art Biennale at National Theater Hall of Bangladesh Shilpakala Academy, Dhaka. A total of 26 performance artists including 15 Bangladeshi artists participated in the event. Performance art is a performance presented to an audience within a fine art context, traditionally interdisciplinary. Performance may be scripted or unscripted, random or carefully orchestrated, spontaneous or carefully planned and with or without audience’s participation. The performance can be live or via media. The names of the artists whose presentations mesmerized the audience include Gim Gwang Cheol (South Korea), Abel Azcona (Spain), Preach R Sun (USA), Marita Bullmann (Germany), Park Kyeongha (South Korea), Cang Xin (China), Maeda Yuzuru and Yuki Kobayashi (Japan), Leman Sevda Daricioglu (Turkey) and Marisa Garreffa (Australia). Their performances were even more attractive than that of the hosts. Their ideas, materials and body language were authentic, artistic and extremely charming. “I can perform in any situation by involving four basic elements: time, space, my body and elements. 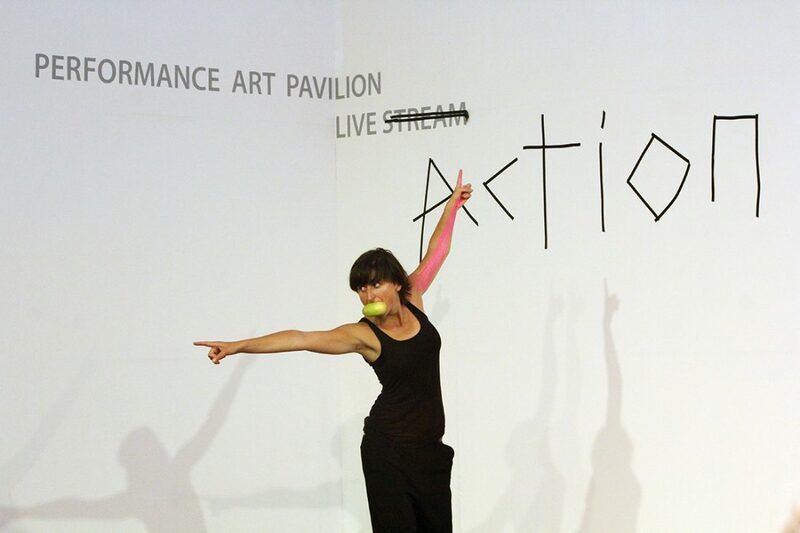 Performance art makes a relationship between the performers and the audience. Performance art can be presented anywhere, in any type of venue or setting and for any length of time. The actions of an individual or a group at a particular place and in a particular time constitute the work. But, a performance-artist cannot play a role like acting. The artist has to come up with his or her own idea, body and materials,” said artist Marita Bullmann, a participant from Germany. Young Bangladeshi artist Sujon Mahbub presented his performance titled ‘Man, The Slave of Time’, which also had an important theme and interesting elements. His co-artist Jinia Jafran played violin at the performance space and Sujon was fastened with the wheel of time. A circled watch was moving with his hands and legs in the circle. His mouth was tied and eyes were covered with a pair of black sun-glass. He only heard the sound of sublime but the circle of time was unmoved. His performance was nine-hour-long and the circle kept moving around the entire performance space. ‘Man, The Slave of Time’ was largely appreciated by the audience, foreign artists and critics. The show of performance art came to an end on September 05, 2018. After that, a two-day long performance art workshop was inaugurated by Liaquat Ali Lucky on Thursday at BSA. Bangladeshi artist Mahbubur Rahman conducted the workshop, where all the participating artists of the biennale took part. Today, they will present a group performance as an output of the workshop at the same pavilion. With this performance they will curtain off the event of performance of the art biennale. 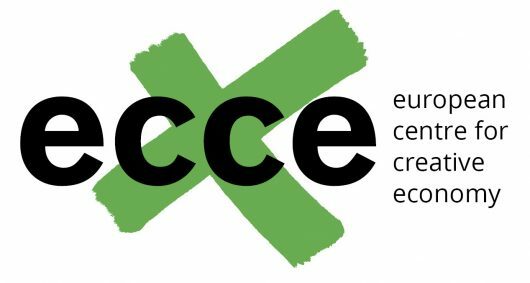 Funded by the Ministry of Culture and Science of the State of North Rhine-Westphalia in the framework of Individual Support for Artists (IFK), a project of ecce GmbH.